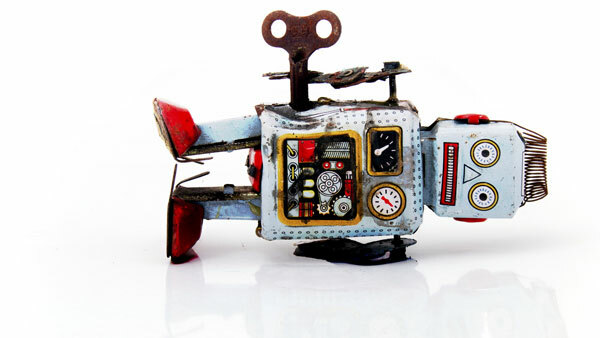 Robo-advisors and target-date funds are lulling investors into a "fairyland view of investing," and only human advisors can save them, Ron DeLegge says. The idea of customized investment solutions is under attack, Ron DeLegge says. Here’s a novel investment portfolio that you’ve never heard about: the 59/41 portfolio. What’s that? The exact opposite of the 60/40 portfolio and other generic one-size-fits-all portfolios that have invaded the financial services industry. The 59/41 portfolio isn’t a literal representation of the optimal investment portfolio or asset mix. Rather, it’s a figurative depiction of a custom-tailored portfolio handcrafted by a licensed professional with complete and firsthand knowledge of the person who it was designed for. And both individuals – the advisor along with the investor – fully recognize that the 59/41 portfolio is the only acceptable default investment choice. Today, the idea of customized investment solutions – or everything the 59/41 portfolio genuinely represents — is being fiercely attacked. Investment advice delivered by mobile applications, automated software programs, so-called “robo-advisors,” and other artificial intelligence is Wall Street’s latest fashion trend. And while these technological trends may give the phony appearance of portfolio customization, their chief preoccupation is with clever algorithms vs. having a personal relationship with investing customers. And that’s why the 59/41 portfolio solution sold by Mario Bros.-driven robots is highly misleading; you can’t say you have a truly hand-tailored solution without knowing a person. What ignited the current bull market in canned portfolio solutions? In the 1990s, Wells Fargo birthed the first target-date retirement fund (TDF) and never looked back. Other financial services companies like Fidelity, T.Rowe Price and Vanguard joined them, and today the TDF marketplace commands over $1 trillion in assets. Instead of outlawing this dangerous devolution toward depersonalized investment advice – which is built for everyone and custom tailored to nobody – lawmakers and the U.S. government have encouraged it. The Pension Protection Act of 2006 – or as I like to call it, the “Pension Destruction Act” – encourages people to adopt TDFs as default investment vehicles in employer-sponsored defined contribution (DC) retirement plans. As a result, approximately 72% of all 401(k) plans offer TDFs. Only a tiny minority of people within the regulatory community recognize the hazards of packaging and selling mass-produced financial products that have been marketed as customized retirement portfolios. In summary, a financial advisor’s job is to know their customer. After that, it’s to build an appropriate investment portfolio that is customized to meet that customer’s objectives. When your clients ask you what to call the wonderful thing that you just built for them, here’s what you say: It’s the 59/41 portfolio! Ron DeLegge’s is founder and chief portfolio strategist at ETFguide. Join his next free monthly Portfolio Workshop for financial advisors.